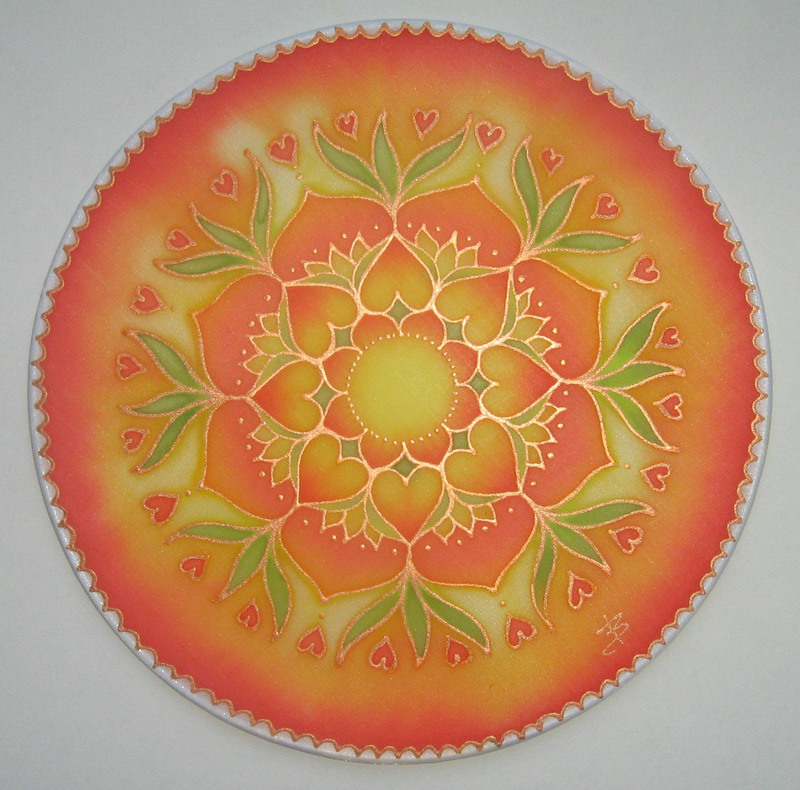 Mandalas are the representations of the awakening soul, finding and perfecting yourself. The circle is the symbol of being whole. Motives drawn in a specific order within the circle radiate joy, peace, harmony, tranquility and concentration. A mandala is just like life – intangible, inexpressible, perceivable, sublime. It switches off the mind – takes you beyond its limits. 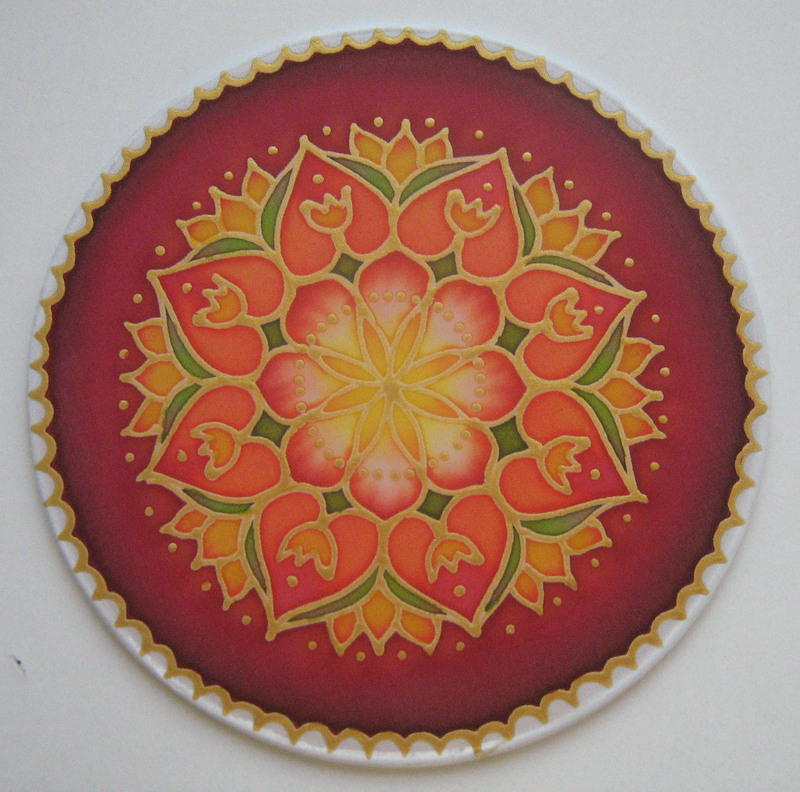 The soft, malleable, feminine silk material adds a lot to the mandala. It radiates warmth, love and femininity, it adapts itself easily, reacts nimbly to the changes of the world. If we create our mandalas with silk painting and we focus our attention inwards we can find the energy of acceptance, tenderness, love and openness. While painting the mandala we get into a meditative state of mind – we feel as if time has vanished, together with our daily problems. We relax and are recharged by simply observing the colours and forms that pop up within us. We let our real self manifest itself, connecting to the inner world beyond our personality. A mandala is the spiritual representation of being complete, of life, unity and the Universe. In Eastern cultures, painting mandalas is an ancient meditation technique, which gives us a chance to become conscious of our real self and cast a glance into the world beyond thoughts. Creating your spiritual and personal mandala is a healing, relaxing way to reach inner peace. Painting on silk is an easy way to experience mandala painting meditation while practicing a qualitative mandala artwork.